Warm up (Mobility) - Run squat x4, Run out Lung x4, Run out Open the gate x4, Run out Close the gate x4, Run out Single leg squat (Alternate legs, each time round), Side shuffle.Reinforce reaching points during exercise e.g. Straight back, heel on the floor, 90 degree angle in the leg, also give a demonstration. 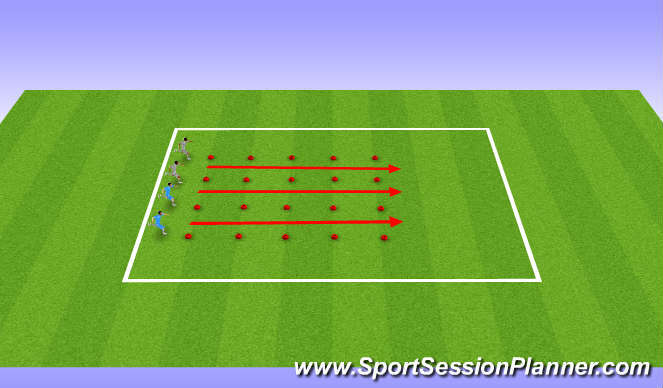 Speed & Agility - On the toes for each exercise. 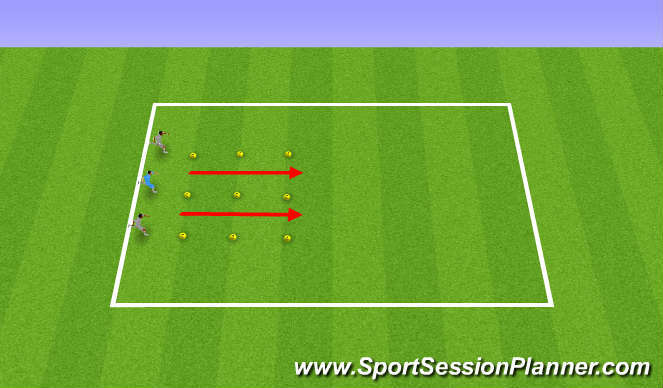 Face side ways, on command, open out and sprint to the edge of cones (Then face the other way, do the same again) , Facing backwards, On command of a clap face front and sprint out.